So, we are “suffering” a snow storm which the press has named the “Beast from the East”. I woke up this morning and looked out to see everything white and couldn’t even see across the street with how thick of the falling snow was. It looked great but the news was full about how it was causing schools to be closed and trains weren’t running….The country as at a standstill due to the weather, yet again! I have a opticians appointment though and me being me, my optician is a minor 52km away. For those of you who haven’t followed I don’t drive, at all. I once had a provisional license way back when but due to my wondrous twenties and my three times a week scrap ups by paramedics, I wasn’t ever going to be allowed behind a wheel. No loss though as while I’m more stable these days those days taught me that I don’t need a car, I have a far better form of transportation… A bike! 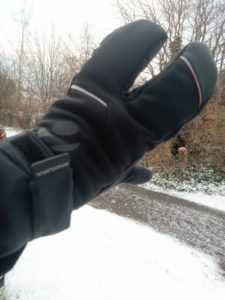 Soon suited up in my thermal layers, thermal snow boots and lobster mitts, along with a thermal balaclava. I’ve come to really like Bontrager kit for this stuff, I’ve used a lot of brands but the Bontrager kit is simply amazing. 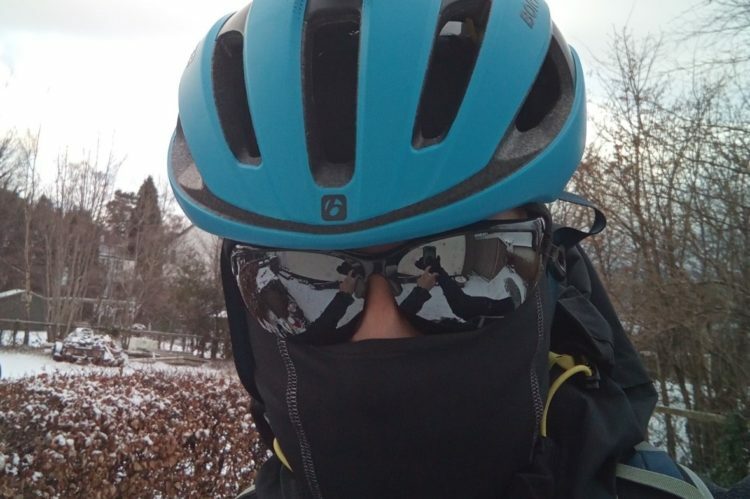 The balaclava for example just fits perfectly, no ridges under the helmet like I’ve found with Gore and Endura thermal caps and no bunching up like with Buffs with helmet straps, it just works and works very well. 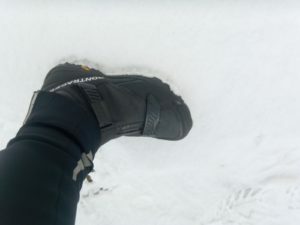 The boots, totally waterproof, incredibly warm and comfy. I can bang in 52km, walk around a city and ride home again and my tootsies were still nice and warm. The same with the mitts, brilliant if looking rather odd. Even on my phones touchscreen, they work brilliantly, far better than many thin gloves on touchscreens which are a huge surprise. Anyhow, this is sounding more like a product review which it isn’t intended to be. The ride was best described as “interesting”. It was like an old school turbo session with the resistance cranked up. 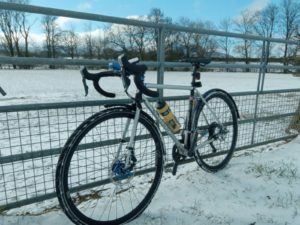 Lancet got so much snow and ice caught under the mudguards that it was squeezing out like toothpaste from a broken tube. The resistance it gave though made for some slow and pressured progress. 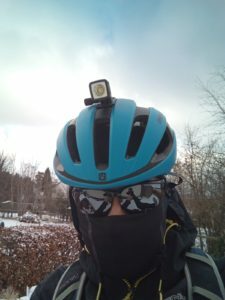 Lancet’s 37c rubber proved very adequate for the conditions and only slipped a little a couple of times (leaving cycle paths and once on a steep slope) but nothing a bit of repositioning of my weight couldn’t adjust for. She gripped as well on snow and icy tarmac as she flew on Ride London. I’m starting to think I won’t bother with narrow rubber ever again! With so much resistance with the ice and snow lodging into my mudguards and on the road. A headwind seemingly in both directions it made for a hard ride and my blood glucose showed as much. Even keeping my meter warm in my jackets chest pocket wasn’t helping it much as it kept having temperature warnings a couple of times. Throwing more and more fuel at me wasn’t helping either. 10km in I was down to 3.2 and keeping the fuel coming it just fluctuated from 2.8 to 3.4 for the entire ride out. The return trip started out at 7.4 but soon was down into the 2’s where it stayed. It was one of those where power output dropped massively and was more a spin my way home and keep the fuel going in. Now four hours later, BG’s are hovering around normal levels and all that extra fuel simply went into the void caused by the “beast”. A touch day basically, but one of those random ones where weather and external conditions throw a spanner into the well-orchestrated mechanics you normally work from. Tomorrows another day!